Wine used to be one of the most expensive liquors in some countries a few decades ago. 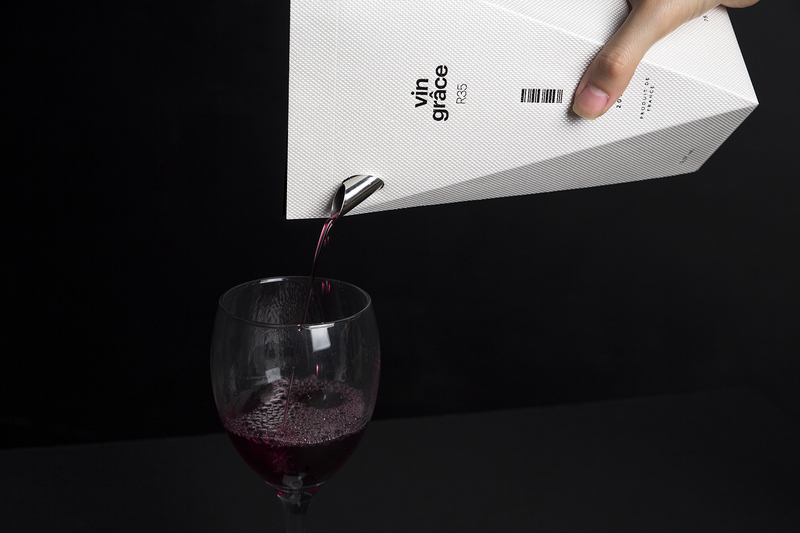 Now it has become so affordable that we can even enjoy wine with a few dollars. 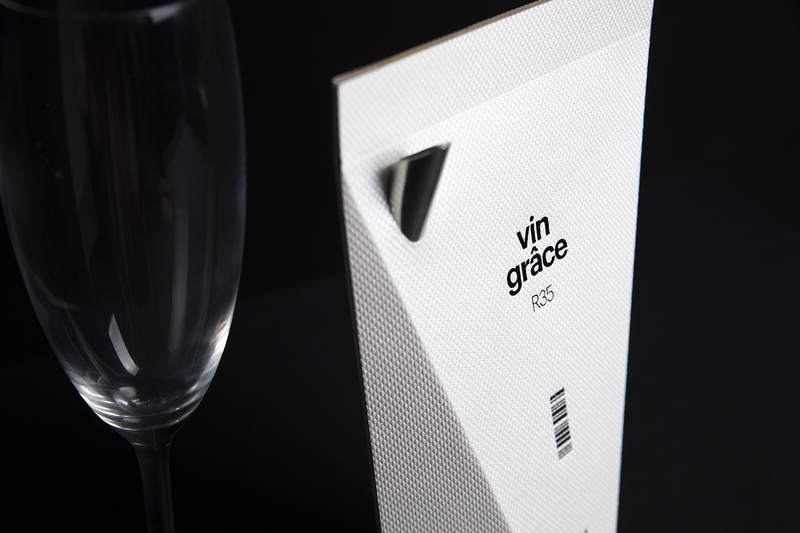 Unlike its popularity, the way wine is consumed and its culture on the table are a bit inconvenient. 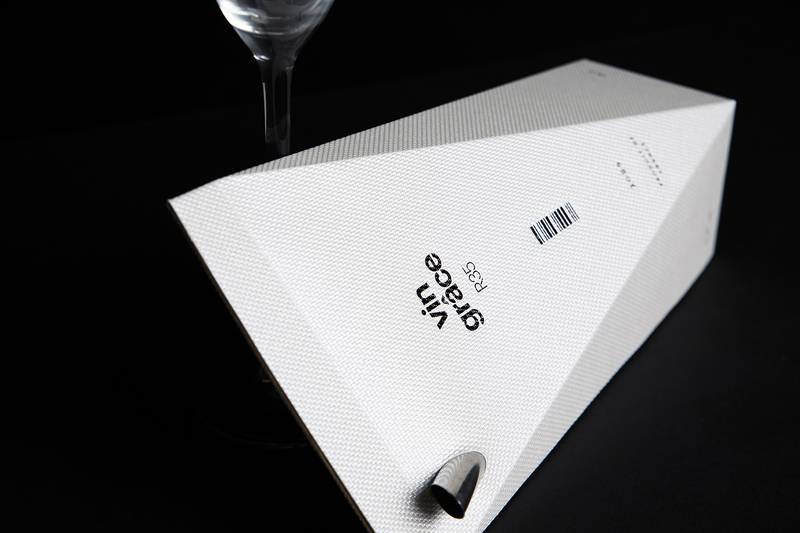 vin grâce is a new solution, introducing the whole new wine culture to the market. 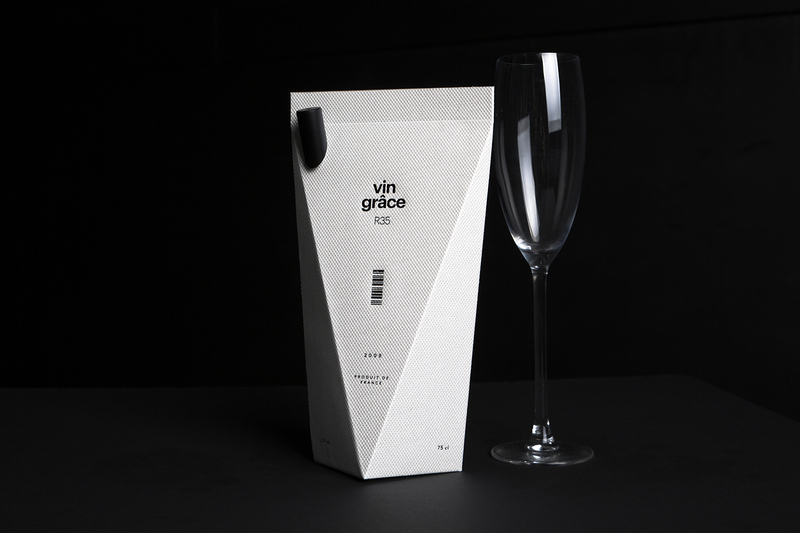 Paper-made container is far more lighter than a glass bottle, not to mention easier to carry, cheaper to produce and of course not fragile. This cork-free bottle cap will free people from carrying a bottle opener every time they enjoy wine, and the attached pourer will save every drop of wine as well as money and let your table get away from wine spills and stains. 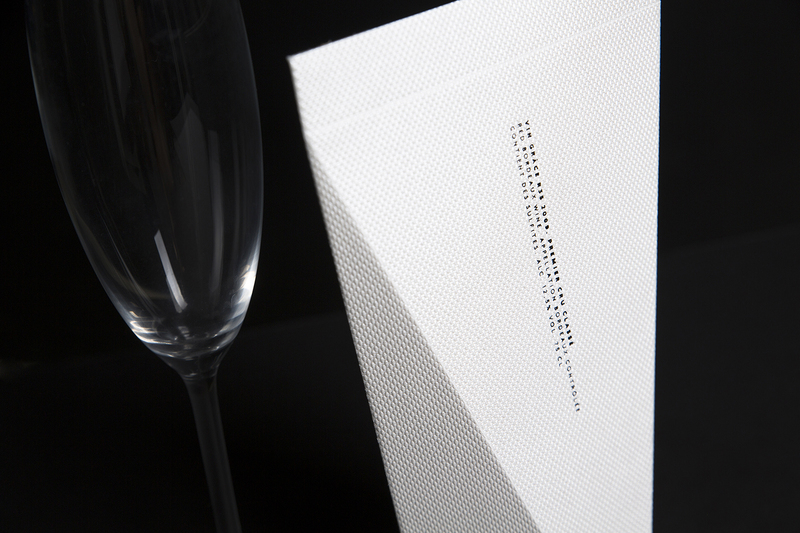 The packaging is inspired by the sophisticated diamond cuts. 영화나 미드에서만 보던 와인은 젊은 층을 중심으로 급속히 사랑을 받으며 와인 인구의 저변화를 불러왔다. 허나 이렇게 와인이 대중에게 큰 사랑을 받고 있는데 왜 그 문화는 아직도 그렇게 불편하고 고상하기만 한가! 와인을 한번 마시려면 무거운 병을 들고 칼로 코르크 호일을 벗기고, 코르크를 따야하는 것도 모자라 보통 750ml 이상의 용량인 크고 무거운 와인을 따르고 나면 병으로 테이블 위로 떨어지는 와인 방울 들은 분명 그 자체의 고유한 문화라고 존중해주기엔 너무 불편한 게 사실이다. 샴페인 패키지를 연상시키는 엠보싱 재질의 고급스러운 합성지에 보석을 연상시키는 각진 디자인과 박(letterpress)처리로 그동안 보지 못했던, 그러나 이름에서도 알 수 있듯 우아함(grace)를 마실 수 있도록 브랜딩하여 고안한 vin grâce(방 그하스)는 깨지지 않고, 가벼워 생산과 공정, 운반이 용이함은 물론 유리병보다 제작 단가도 낮다. 뚜껑을 손쉽게 돌려 따고 씰(seal)을 벗기면 와인이 뚝뚝 흐를 염려가 없는 푸어러(pourer)가 있어 따르기 쉬운 것은 덤.